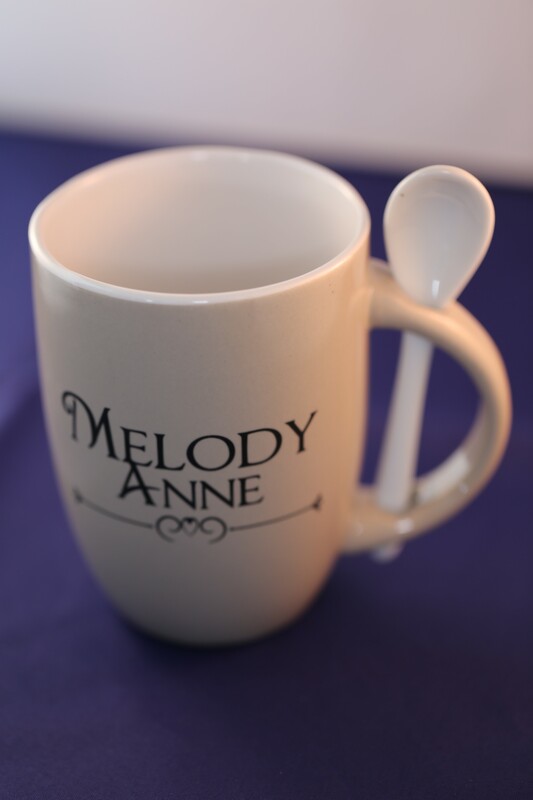 A high quality coffee mug that sports the Melody Anne logo. The cup includes a stirring spoon right in the handle! Get yours today before they run out.